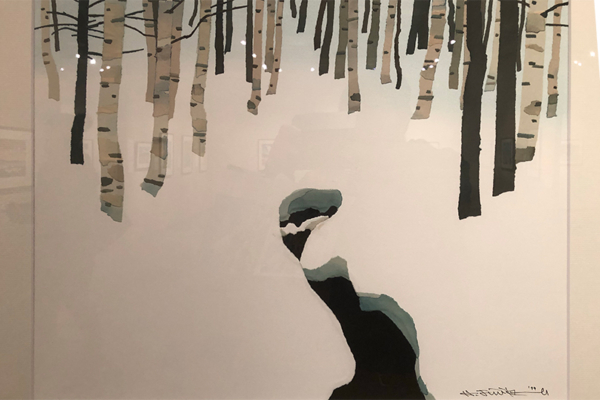 Visitors to Niseko this winter can view a fascinating exhibition of a centuries-old Japanese art form featuring locally created “kiri-e” (paper-cut) artwork. Each of the artworks on display consist of many thousands of individually cut paper shapes that are laid on top of each other creating deep layers of texture. When viewed up close these individual pieces are deceptively simple – a snowflake made by a small diamond of white or a thin red rectangle representing one specific layer of rust on a handrail. However, when viewed as a whole these individual pieces merge into a stunningly vibrant and detailed three-dimensional portrait. The exhibition could also give visitors an appreciation for and deeper understanding of life in Niseko. 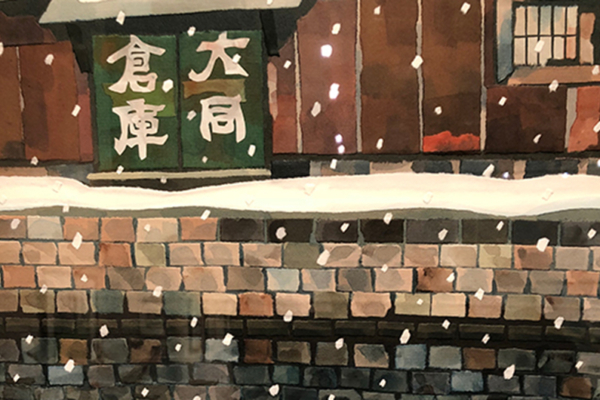 Aside from his technical mastery, the local artist Hideyuki Fujikura, perfectly captures the feel of Hokkaido and what it is like to visit or live here as only a native truly can. 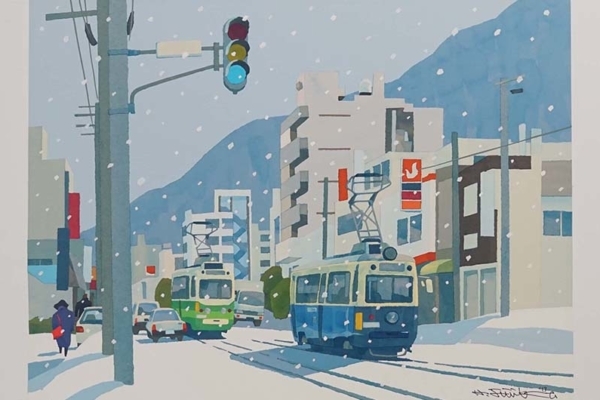 In one snowy farmscape, an elderly couple can be seen in the background struggling to clear their driveway with their all too familiar mama san dump shovels, whilst in another piece depicting Otaru in the winter, the streets are lined with the huge mounds of dirty ice that get deposited by the road clearing trucks and the rooftops and awnings groan under the weight of precarious cornices of snow that look ready to drop at any minute. 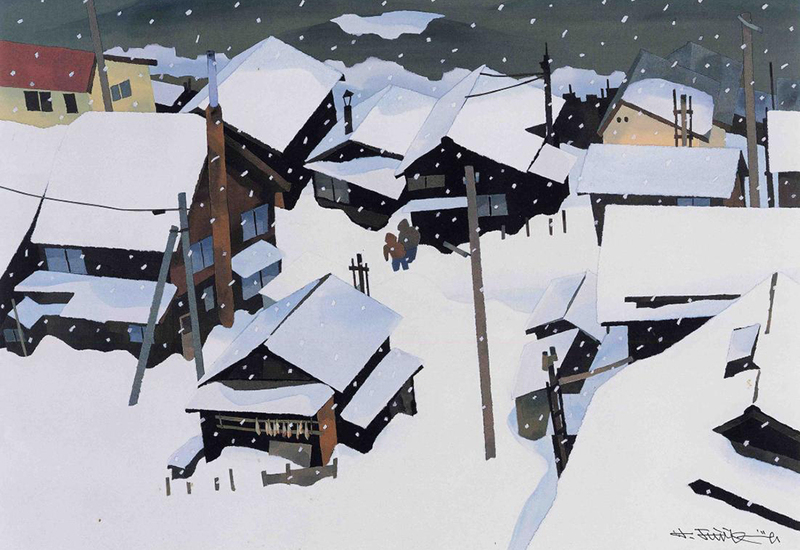 Fujikura-san is one of Hokkaido’s most distinctive artists and a prolific and well-known resident of an old, nearby port town Iwanai. 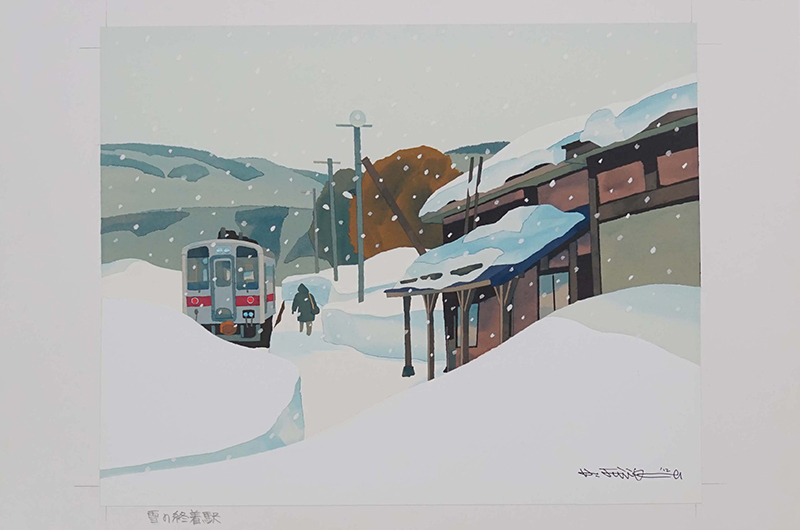 He is self taught in kiri-e and his distinctive works can be seen on many famous Hokkaido brands of omiyage as well as Hokkaido JR trains and stations. 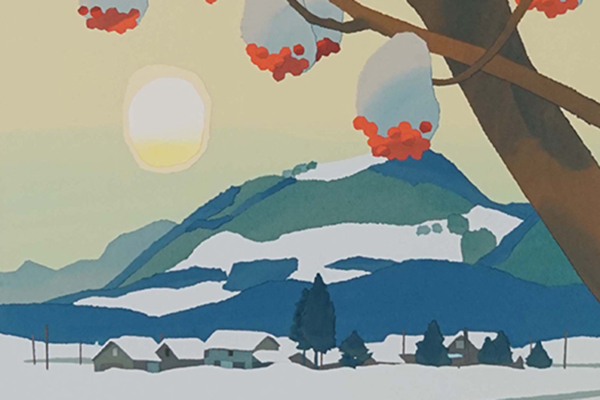 The Niseko Arishima Takeo Memorial Museum is hosting the exhibition titled “A Travel Through the Landscapes of Hokkaido”. 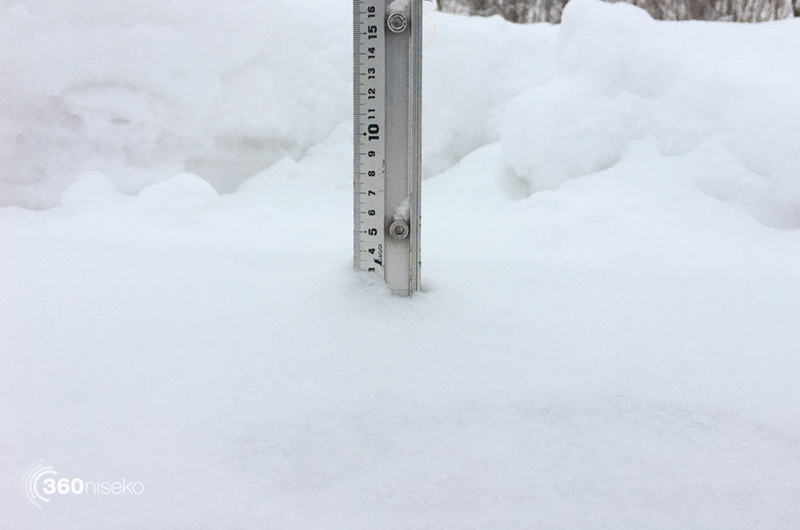 It is open now until March 17th and is open daily from 9am to 5pm. Admission is ¥500. There is plenty more at the museum to view at the same time as well.